It’s difficult to imagine a country with more extreme contrasts than India. It is a place that attacks your senses at every moment, a country full of energy, verve and intrigue. From the calm, green backwaters of Kerala in the south, through to the all-action cities of Delhi and Mumbai, to the quiet and remote forts and castles in Rajasthan, the contrasts in India are there for all to see. 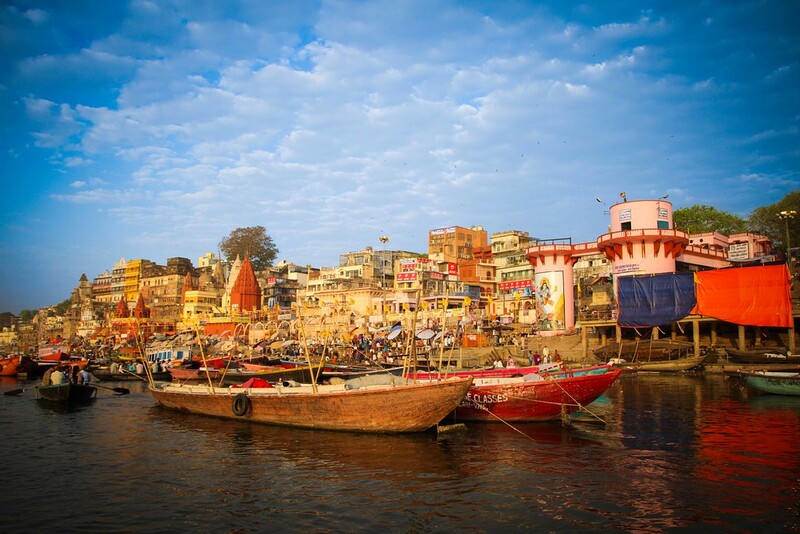 Nowhere is the contrast so obvious and so extreme than in Varanasi, where you come literally face to face with life and death on the banks of the spiritual Ganges river. You see, many Hindus come to Varanasi to die. 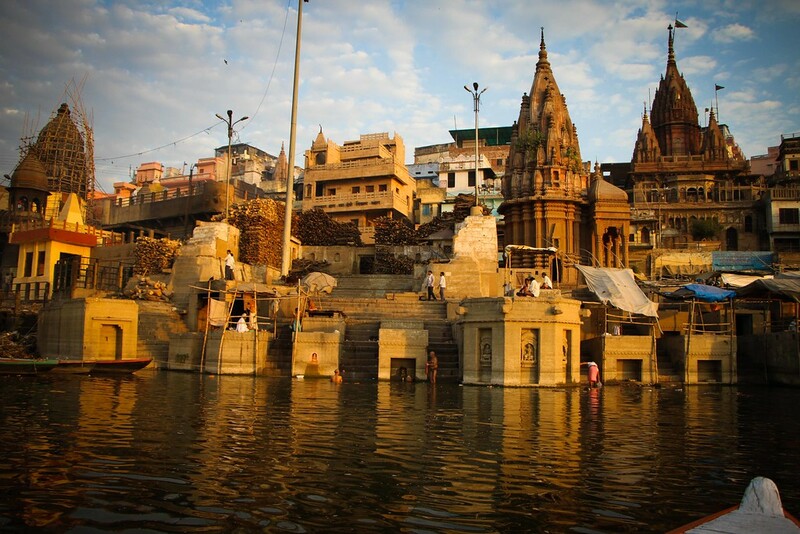 It is considered one of the most holy places in all of India, and to be cremated and scattered in the Ganges is the highest honour for Hindus. The cremations are very public and, most of the time, very graphic. 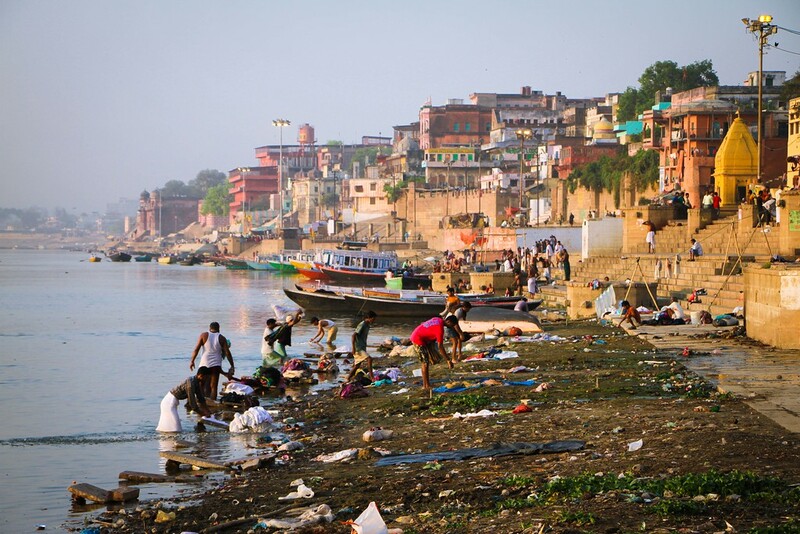 Varanasi is not the prettiest place you will ever witness. 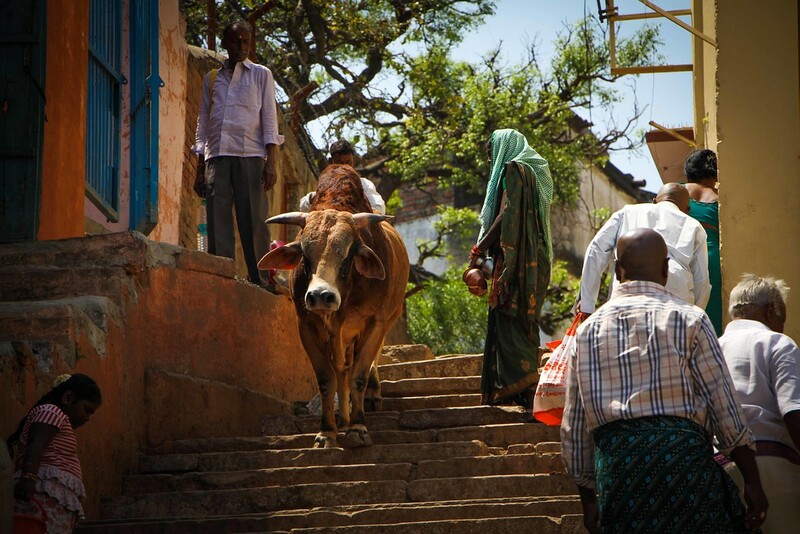 It is a complex maze of narrow alleyways, crammed with people, shops, cows and frequently shrouded bodies held on the shoulders of loved ones as they make their way to the Ganges. 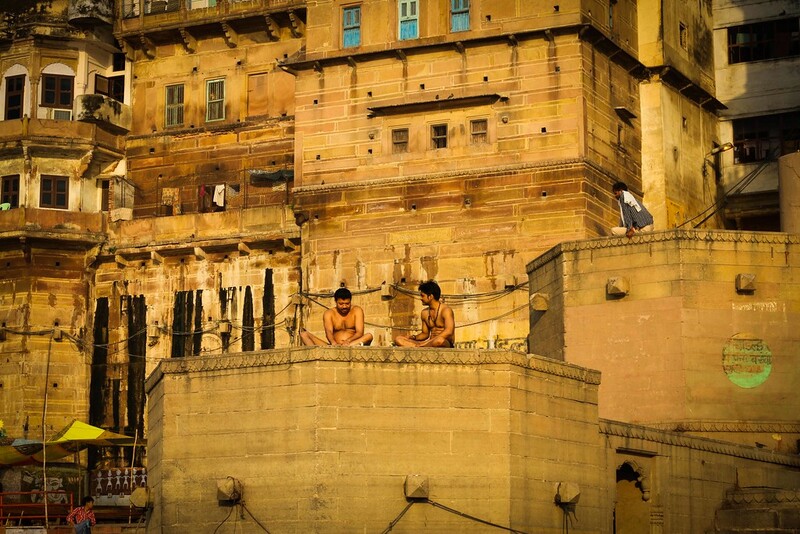 Varanasi leaves an indelible mark on all that come here, for many it will change them forever. Whether you are there for the cremation of a loved one, or as a visitor observing the rituals, it is impossible not to contemplate your own mortality, and indeed your own belief system. In the UK, we shy away from discussing the mechanics of death, of cremations and burials, we hide it away and we rarely talk about it. But as we’ve experienced in other cultures, from the Mexican ‘Day of the Dead’ to the Hindu approach in Varanasi, there are alternative, arguably healthier methods and viewpoints on death, where it can be witnessed and processed by those who choose to do so. 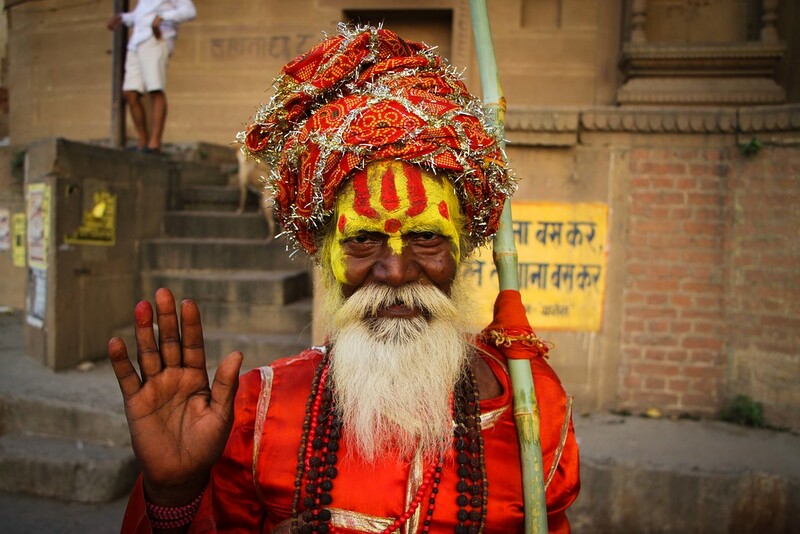 For this reason, we consider Varanasi to be the most unique place we have ever visited. 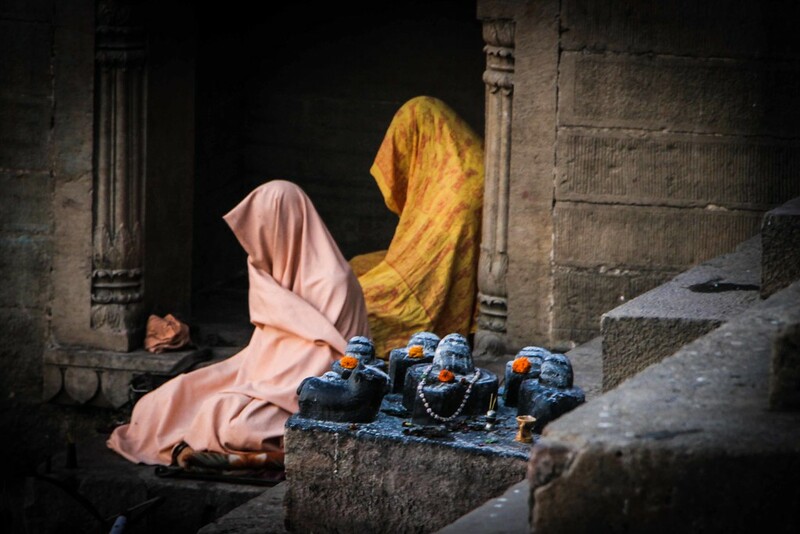 Varanasi changed our perspective and relationship with death, made us question the methods by which we deal with it in our home country, and left us with a sense of calm and acceptance of the inevitable cycle of life and death. Imagine yourself, for a moment, sitting on the banks of the Ganges river on one of the numerous ghats that line it. Directly in front of you, a cow and a bull stand idly chewing on a huge pile of flowers left by worshippers, seemingly free to wander the lanes and ghats of Varanasi. 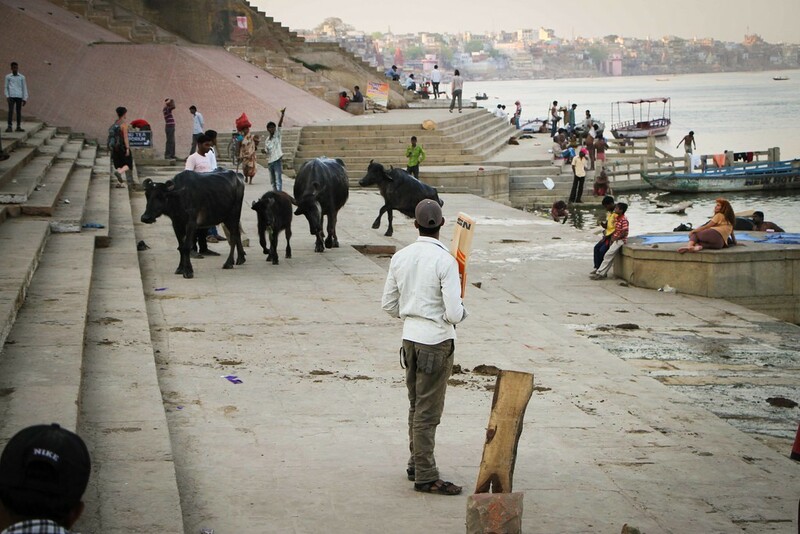 Behind you, a friendly game of cricket has been interrupted by a group of cows making their way from the Ganges up the ghats. 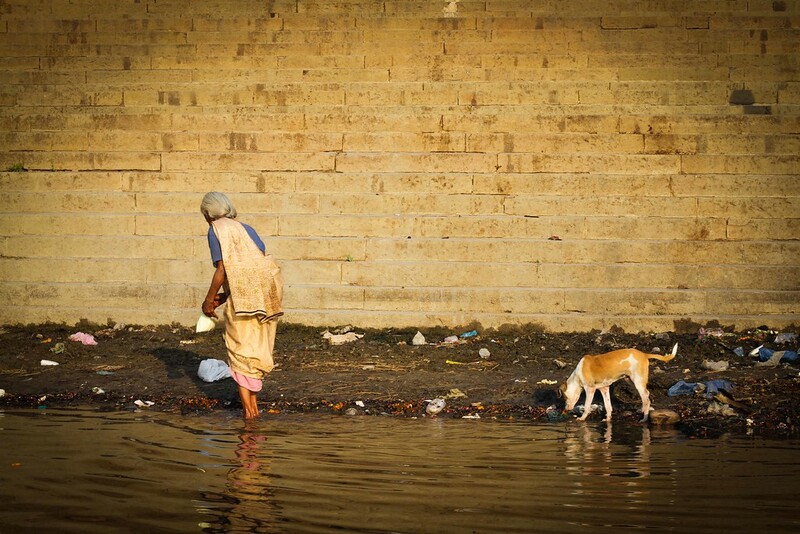 Meanwhile, a woman searches through the trash and sewage that lines the shore of the Ganges, searching for anything of use. The contrasts are everywhere to be seen. 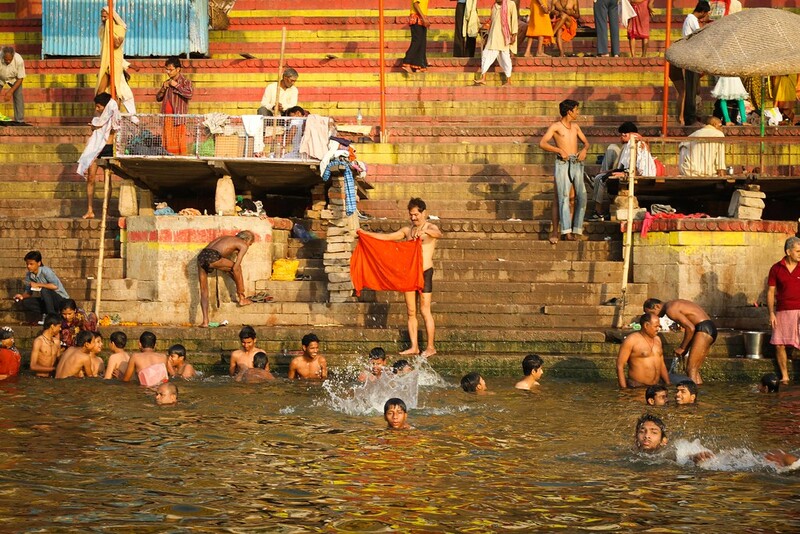 On the steps down to the Ganges, worshippers strip down to their underwear and wade into the river, dunking their heads under the water 3 times in a ritual full of energy and concentration. Most will complete this ritual every morning at sunrise, before the beating sun and heat become intolerable. 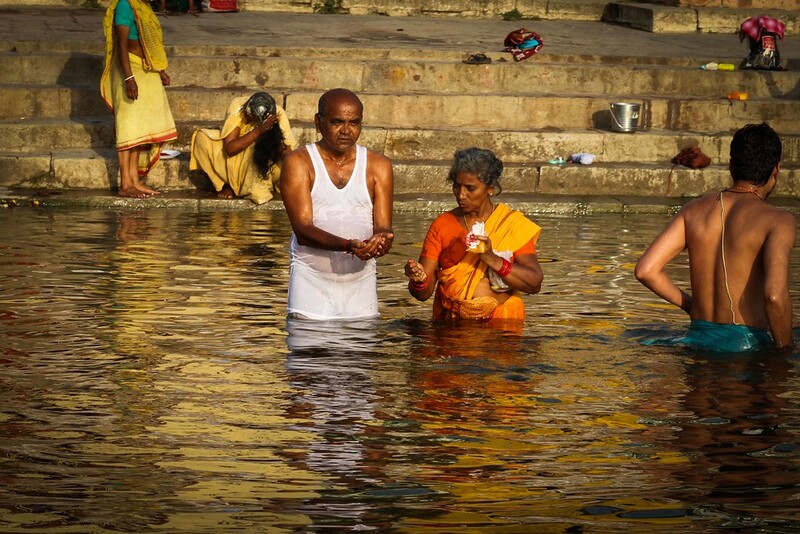 Everyone is here, from young children frolicking in the water to elderly couples helping each other into the Ganges. 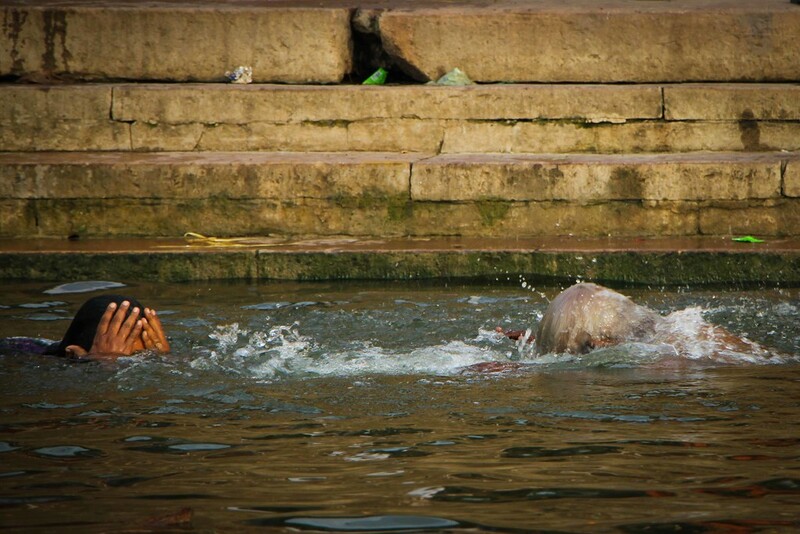 Each individual has their own personal relationship with Ganges, and it is absolutely fascinating to watch. A group of boys swim nearby, surrounded by a group of 15 cows who have also made their way into the river to escape the intense heat. 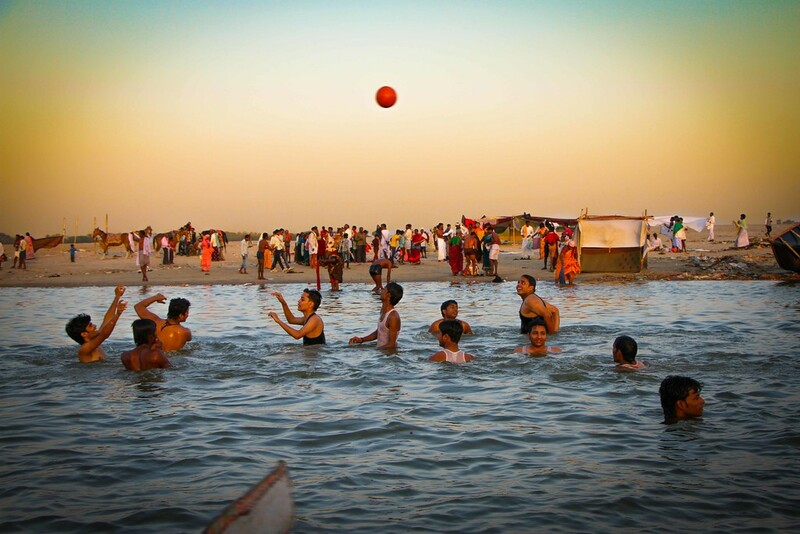 Some are playing with a ball, others taking turns to launch themselves into the Ganges. It’s a fun activity with a very serious goal. To our right, open sewers run directly into the Ganges, sending its contents towards the various swimmers and bathers, but nobody cares. Then the bells start to ring, and the men start to chant. 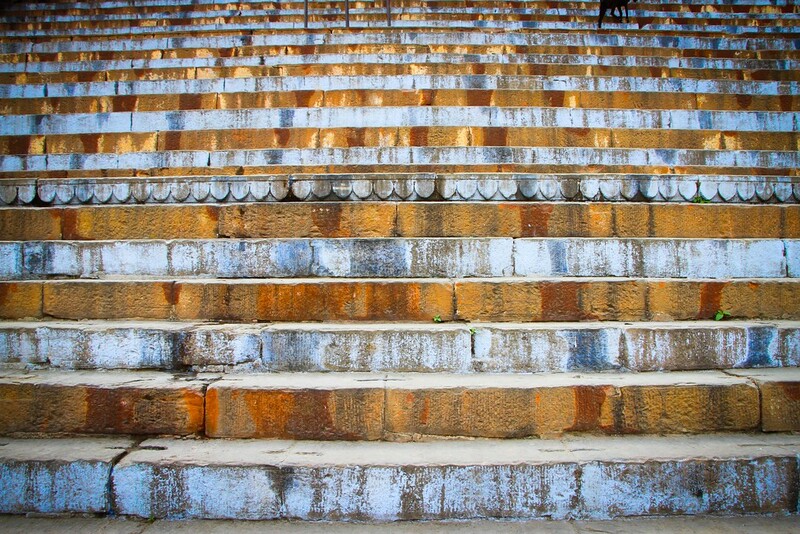 We glance up the steps leading away from the ghat. A group of men are making their way down the steps, carefully and methodically. On their shoulders rests the body of a loved one, carefully wrapped in yellow, white and red cloths. 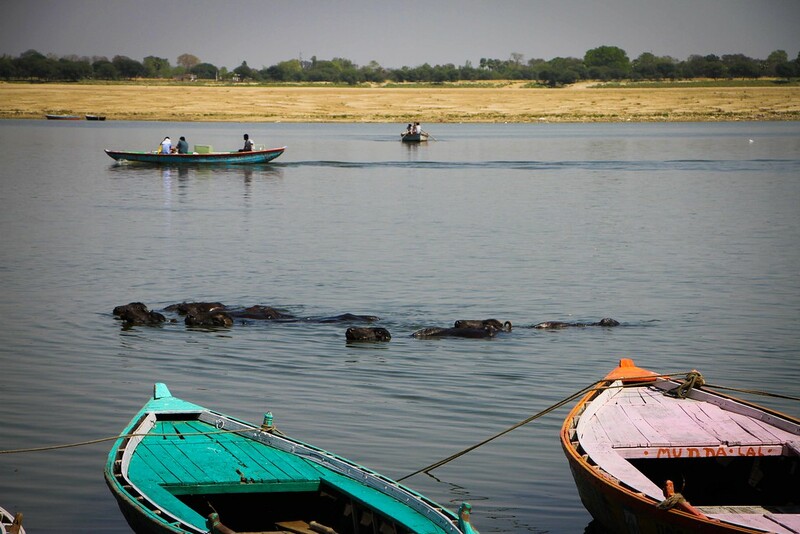 They bring their delicate swaddling down to the waters of the Ganges, and rest it on the bank. And then they wait for their turn. 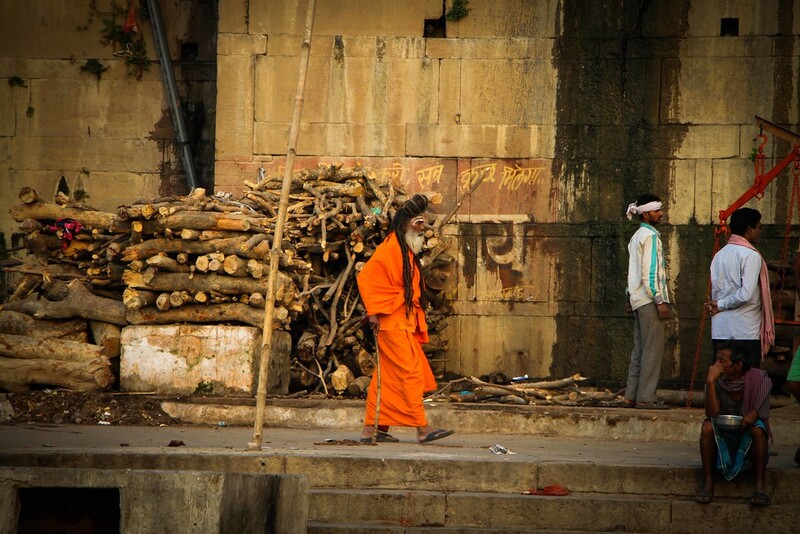 The cremation process on the Ganges is a carefully orchestrated ritual, and very public at that. As the men wait to begin the cremation, locals and foreigners alike begin to congregate near the ghat. Here it is perfectly acceptable to sit and watch, and the rules are simple: be respectful, quiet and do not take any photos or video. Quite frankly why you would want to take photos is beyond me, but people do, we saw them. A pile of wood is assembled near the river, the type of of wood carefully chosen based on the price. 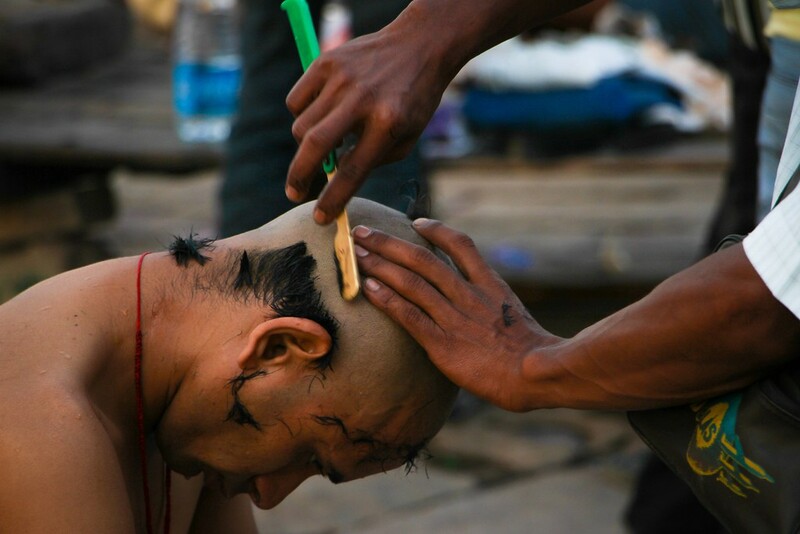 If you’re rich, you can have sandalwood and your own private ghat. If you’re poor, it’s a cheap piece of wood and a shared ghat. Each piece is carefully weighed so that just the right amount of wood is used to completely cremate the body. It was fascinating to watch a process which is normally, in our culture at least, hidden away from us. It was a very calming experience. As the pyres are assembled, the family take their loved one and immerse them in the Ganges, shroud and all. They are then taken to dry the water off in preparation for the cremation. When the time is right, the body is placed in the wood pile and is set alight. Very quickly the cremation becomes graphic, the shrouds and materials wrapping the body quickly burn away, revealing the loved one through the flames. As the wood burns, the various men tasked with managing the cremation make various ‘adjustments’ to the body with sticks and pincers, to ensure full cremation. It was a graphic scene, but it’s amazing how quickly one can become accustomed to the sight. 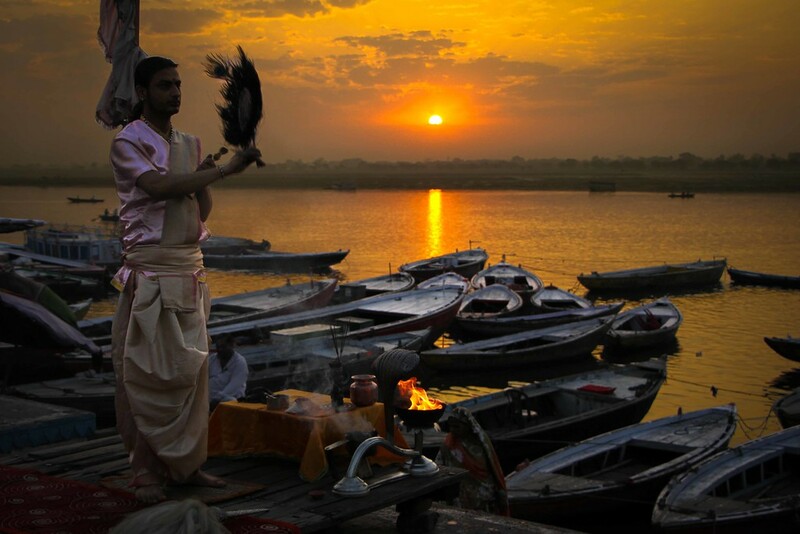 For those who live and work in Varanasi, cremations are a 24 hour event, and over time it is obvious that people become accustomed to, and comfortable with the event. Of course if it is a loved one of your own I’m sure it would be a very different matter, but for the majority of the time, it is simply another shrouded body beginning the next stage of their Hindu existence. We knew we would see burning bodies in Varanasi, and the first time we did it was a shock, a slow realisation that what we were looking at was not a stick of wood pointing out from the fire, but part of a person. I’ll never forget my reaction. 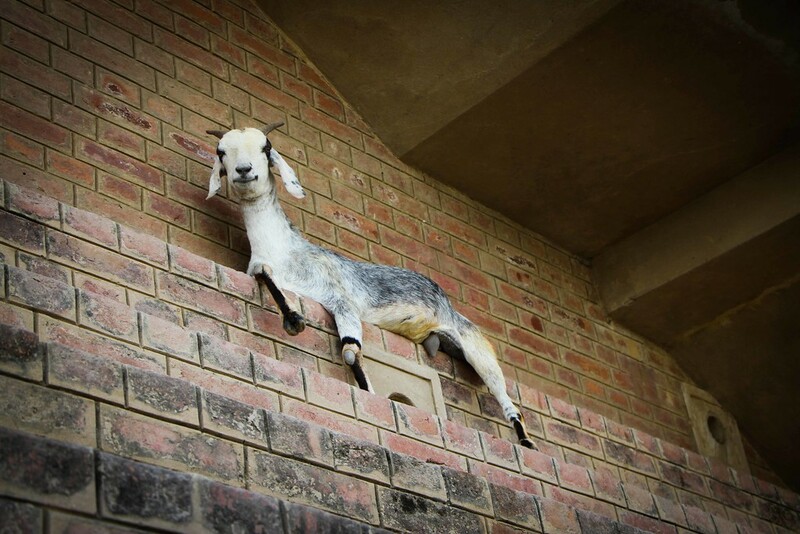 As I realised what it was, I didn’t turn away, I didn’t feel sick, I became intrigued, inquisitive almost as my mind tried to process what it was I was looking at. After a few moments, a sense of calm came over me, and I began to think about who that person was, had they been happy? Did they have a good life? I felt sad for them, then I felt happy for them, then sad again. As for the family of the loved one, the men stood on the ghats and watched with the other observers, all stood, arms folded, watching and waiting. There was a functionality about it, a purpose to what was happening and that they were achieving something. Just behind them, a man was selling ice creams to local children playing – talk about contrasts. Nevertheless, as the children played in the waters metres away, and the bathers soaked away their sins, the pyres continued to burn. In a country full of contrasts, Varanasi amply demonstrated the incredible juxtaposition of life and death along the banks of the Holy Ganges. 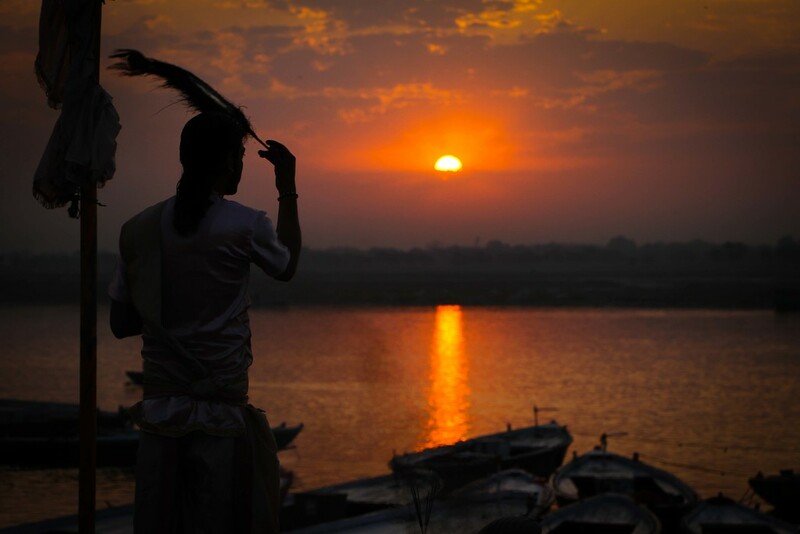 It is not often that we can say an experience or place changed us, but as we sat on the banks of the Ganges and watched all that took place, it is hard not to believe that those impressions, those indelible marks have been left on our consciousness. 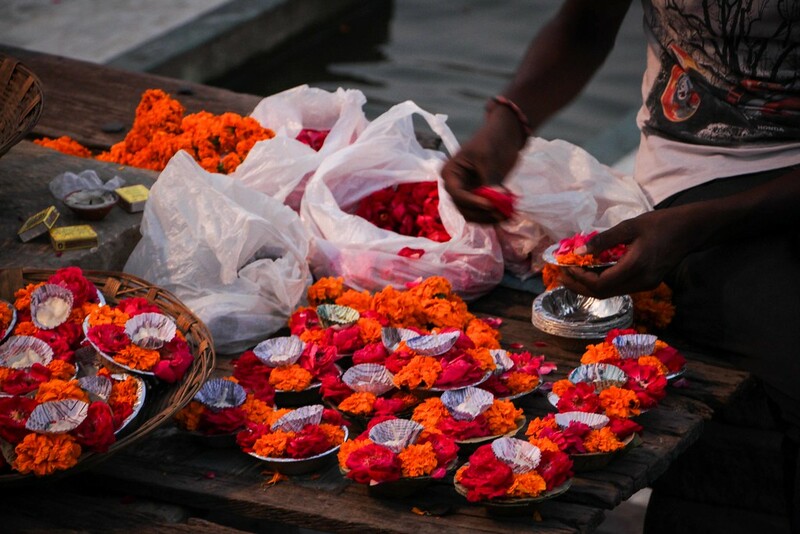 What do we take away from our time in Varanasi? Life is short, or rather, the times when you are fit and healthy and free of worry are precious, so grab hold of them with both hands and take action. Whether it be grand plans to see the world, or learn a new skill, or try a new food, Varanasi provided us with the ultimate lesson in contrasts. Those shrouded loved ones we watched on the pyres reminded us that the time to take action is now. Enjoyed reading your observations on Varanasi. We spend some time there a few years ago, and it was definitely our most memorable stop during our time in northern India. 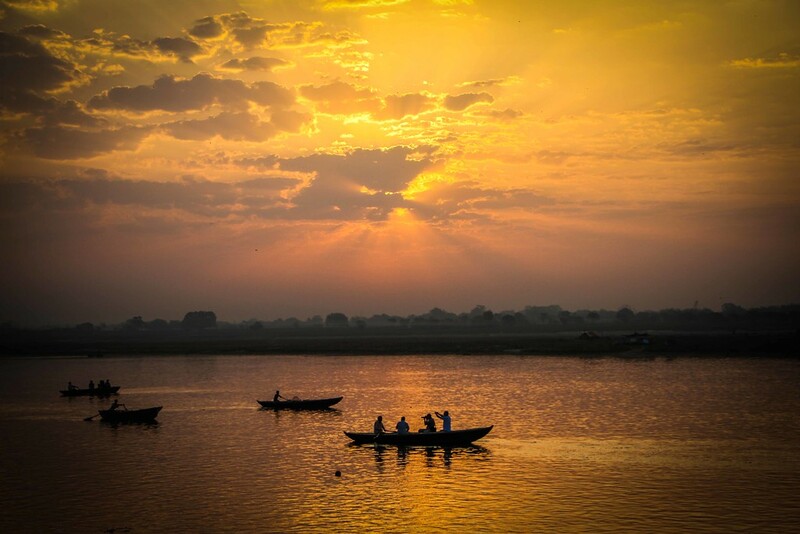 Varanasi is a unique and special place. You’re right about its ability to make you stop and reflect. It certainly had that effect on us as well. Your photos are gorgeous, too! You’ve really captured the spirit of the place. Thanks for bringing us back through your eyes. Thanks Tamara, glad you enjoyed the article! The more I think back to Varanasi, despite the trash and sewage and general look of the place, it still holds very special memories for us given the uniqueness of it all. It’s somewhere I would recommend everyone who visits India make a effort to see it, even if they fly in and out of the airport. One stroll along the river and we were hooked on it!